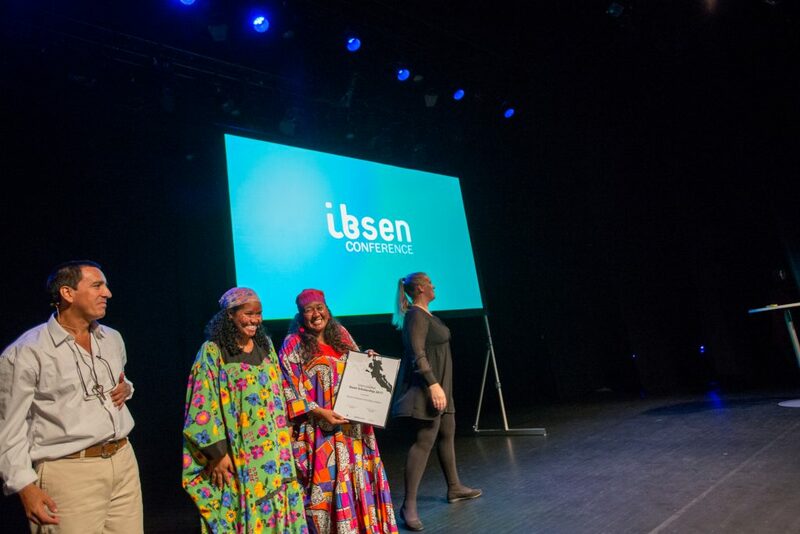 In 2017 Jayeechi Cultural Corporation was awarded an Ibsen Scholarship for the project Nauunu. Enemies of the Wayuu Nation. Naunuu. Enemies of the Wayuu Nation is an adaptation of Ibsen’s Enemy of the People that reflects upon correlation of high infant mortality within the Wayuu community (the largest indigenous people in the multi-ethnic region La Guajira in the north of Colombia) and acute water shortage. The water problem is caused by building of a dam that is claimed by the government to benefit the public. In reality, water has been monopolized by ranchers and rice producing companies. In addition, one of the world’s largest coalmining companies plans to change the course of a river in the area in order to exploit the subsurface mineral resources. The adaptation will be guided and directed by Jayeechi Cultural Corporation from Riohacha, La Guajira. 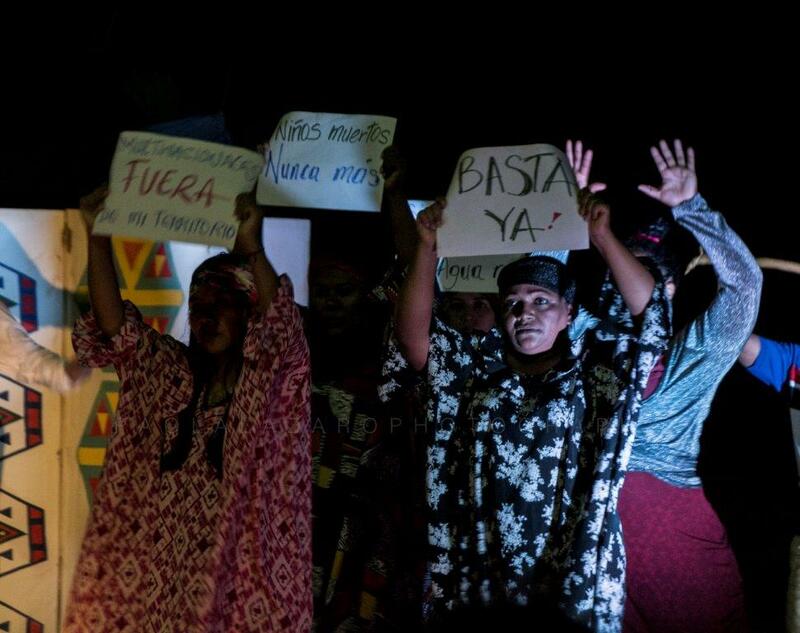 Jayeechi (translated as "songs" from the Wayuunaiki language) is made up of an interdisciplinary team of professionals from the Wayuu community and others from the region, with 24 years of experience in theatrical productions revolving around their indigenous identity and the cultural heritage of La Guajira facing dramatic political and social changes. Their methodology is based on critical research involving researchers and local communities that is translated into collective creation of a theatrical production, involving elements of anthropological theatre. The play pays tribute to water as the symbol of life, and access to water as an essential human right and act of solidarity - against the barbaric acts of destroying the waterways and transforming water into a commodity by the corrupt political and economic elite. Nauunu. Enemies of the Wayuu Nation wants to initiate critical thinking and action within all sectors of the population in order to challenge the status quo and the indifference of the political leadership towards the deprivation within Wayuu communities. The jury of the Ibsen Scholarships is impressed by the thorough research and long lasting engagement the Jayeechi Cultural Corporation has shown in the matter of these highly relevant thus complex issues. NAUNUU. 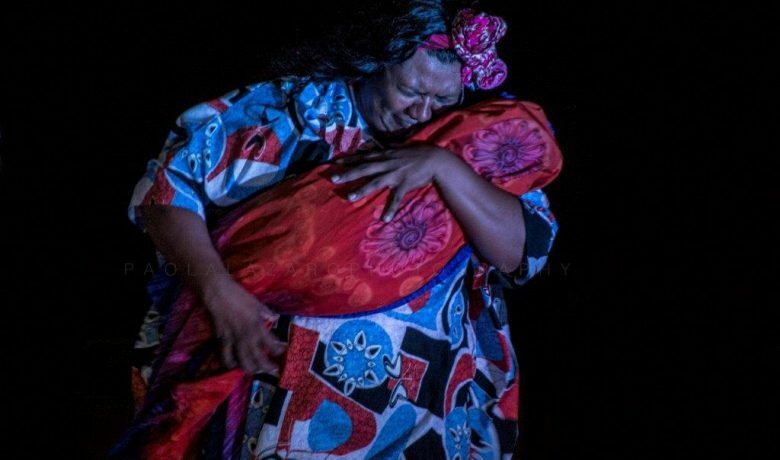 ENEMIES OF THE WAYUU NATION is a ambitious project of great political, artistic and social complexity, that shows an often forgotten faith in theatre as a way of creating alternative ways of interacting and engaging in a society. We look forward to following the theatre makers of Jayeechi in this inspiring work. Naunuu. Enemies of the Wayuu Nation will take place in La Guajira, a multi-ethnic region in the north of Colombia where the Wayuu people represent the largest indigenous culture in the area. Based on Ibsen’s Enemy of the People, this adaptation reflects on the casual connections of the large number of infant mortality within the Wayuu community due to water shortage. The situation faced by the Wayuu is the building of a dam. The government has claimed the dam will benefit the public when in reality ranchers and agricultural businesses producing rice are monopolizing it. In addition to this, one of the world’s largest coalmining companies are planning to change the course of a river in the area in order to exploit the subsurface mineral resources. This has affected all parts of Wayuu life and are causing the ongoing deaths of Wayuu children. Naunuu. Enemies of the Wayuu Nation emphasizes on respect of water as the symbol of life, in facing the barbaric acts of those in positions of power, and in this way promotes the value of solidarity and human rights, as they have been articulated and promulgated by indigenous peoples for whom nature is an integral part of the human being. Privilege and actions by the political and economic elite have resulted in the destruction of waterways within indigenous territories in favor of industrial mining. Water has been a commodity rather than an essential human right. Naunuu. Enemies of the Wayuu Nation wants to influence critical thinking and action within all sectors of the population in order to challenge the status quo and the indifference of the political leadership towards the deaths and deprivation within Wayuu communities. Jayeechi Cultural Corporation is an organization with twenty-four years of experience in leading cultural projects with emphasis on theatrical production, based in Riohacha, La Guajira, Colombia in South America. Jayeechi is a word in the Wayuunaiki—the language of the Wayuu people—which translates “songs”. Jayeechi works to protect and share the ancestral identity of the Wayuu indigenous community and the cultural heritage of La Guajira. 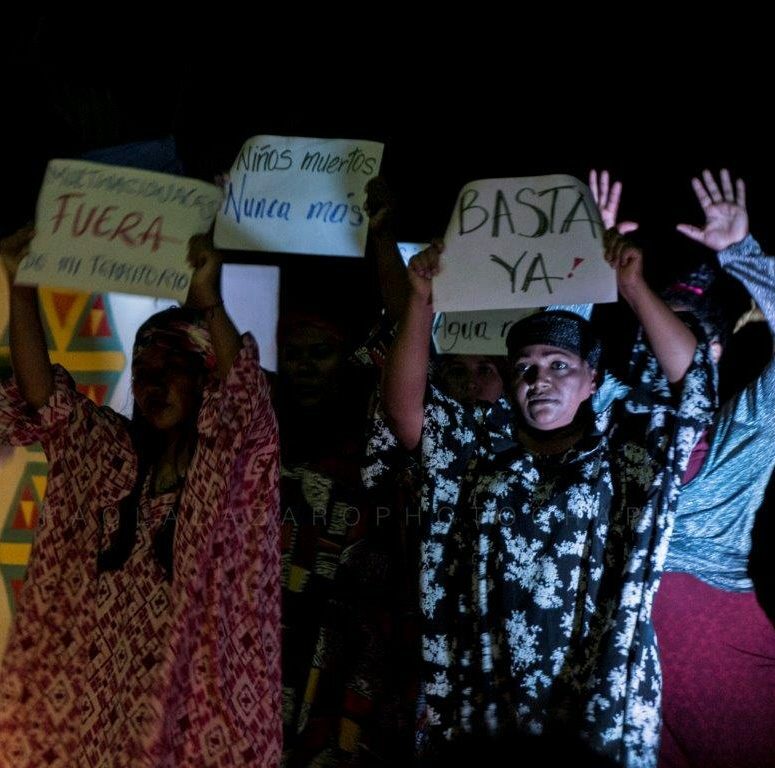 The organization is made up of an interdisciplinary team of people from the Wayuu community and others from the region, who work together through collective creation—a technique that allows for exploring a dramaturgy of its own. Jayecchi’s productions have been invited to participate in national and international competitions, where they have been well received for their aesthetic, theatrical techniques and themes. Naunuu. Los enemigos de la nacion Wayuu opened with great success at Centro Cultural in Riohacha, La Guajira, Colombia April 29 2018. Photo by Max Emanuelson - Nauunu. Enemies of the Wayuu Nation presented by Enrique Berbeo, Cristina Piementa and Daissy Piementa.